During a time of disaster delivering vital information to assist in recovery operations is critical. This is where the role of the Rapid Damage Assessment (RDA) becomes so important. 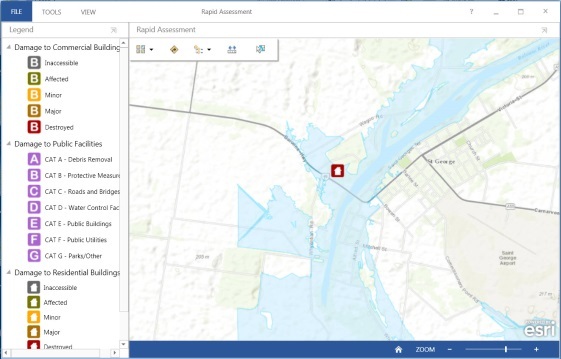 Rapid Damage Assessment is required to provide information on two fronts. Firstly, for emergency relief management, the need for a quick assessment of damage can form the basis for medical relief and emergency shelter or provisions to be deployed to the disaster area quickly. Secondly, a detailed assessment of the damage will deliver vital information to assist in the long term recovery operations. This morning we discussed how we can rapidly deploy a powerful, mobile “out of the box” solution using ArcGIS Mobile. We walked through the steps of authoring our maps with mobile use in mind utilising both operational and base map layers. 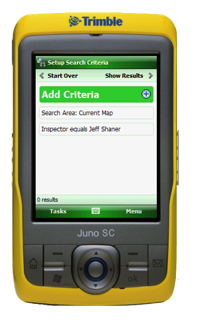 Once created mobile applications can quickly be deployed to the field user on ruggedized devices utilising services such as ArcGIS Online. We also saw how personnel back at base can view live data being collected using the Operations Dashboard for ArcGIS. This entry was posted in Events, Ozri and tagged arcGIS, ArcGIS for Mobile, ArcGIS Online, emergency management, Ozri, Ozri 2013, presentation, Rapid Damage Assessment, RDA on September 6, 2013 by Esri Australia.